"Testing" does not mean just sending a DNA sample to a laboratory; it means using DNA to test a hypothesis derived from traditional genealogical methods. See recent report on database sizes (which does not stress the U.S. bias in most of the databases). The DNA evidence often fills gaps in the traditional evidence, but sometimes refutes it (NPE). If you want to keep family secrets secret, then keep your own DNA and the DNA of all of your relatives out of the online databases. These two sessions will teach you methods to get the most out of your DNA as a source. You will soon begin to recognise "all the usual suspects" in DNA match lists. The International Society of Genetic Genealogy (ISOGG) is free to join. Mutations are the first type of random variation in the inheritance process (of all four components of DNA), and are transcription errors at single locations, e.g. a single A in the parent may be replaced by a C in the child. But the cumulative effect of occasional mutations over hundreds of thousands of years has resulted in wide variations in the Y chromosome today. 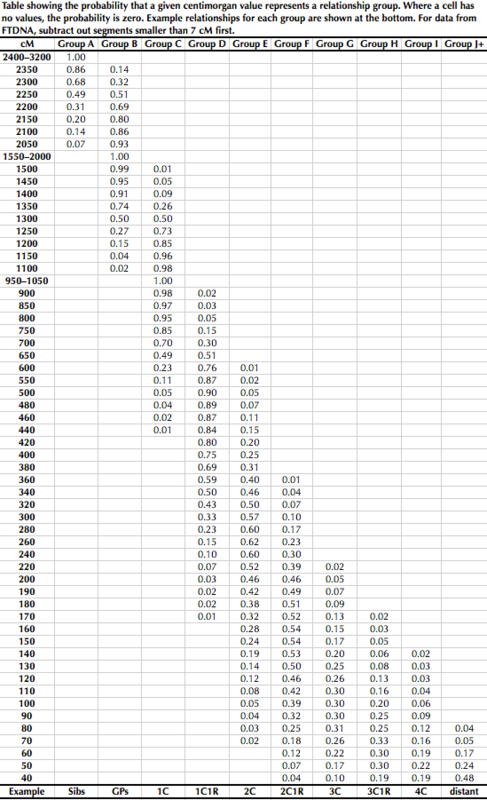 The state-of-the-art Big Y-500 product reports values for 500+ STRs. 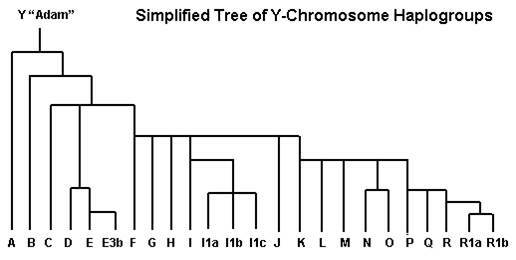 until the next STR mutation occurts, all descendants of the subject of the mutation are genetic distance 0/37 from their most recent common ancestor. mtDNA mutations are much rarer, so less useful genealogically. Perfect mtDNA matches may have to go back dozens of generations to find a common ancestor. There is also an mtDNA Haplogroup Tree. All observed mutations are weighted equally in current relationship predictions, but two individuals who share a recent mutation observed in only 1% of the population are likely to be far more closely related than two individuals who share an old mutation observed in 50% of the population (GEDmatch Genesis is working on better relationship predictions). On average, there are 798,852 total letters per cM or 190 letters observed per cM, or one recombination or crossover per generation per 19,000 observed letters. 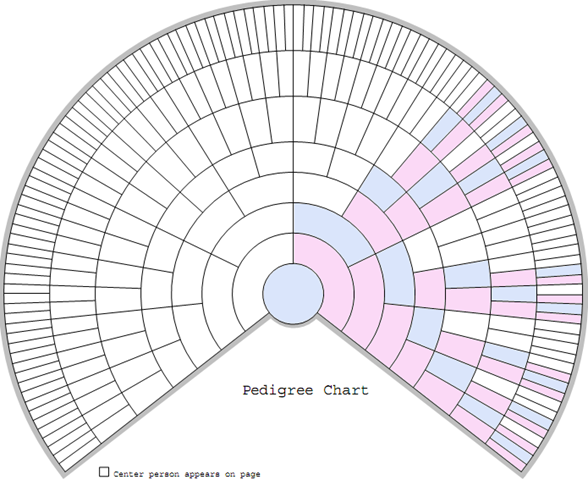 See charts by Shared cM Project and TheDNAgeek. it appears to have stopped hosting any type of family trees for its DNA customers. Record the ancestors and cousins confirmed by your DNA in your genealogy database. Use an event field or note tag in your database to track people who are in both your own database and the DNA databases. 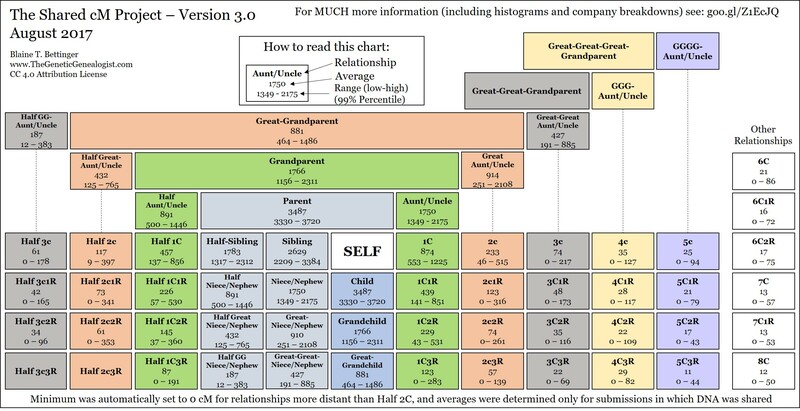 maintaining the privacy of your family history research and DNA results. If you keep your DNA results or known family tree private, then nobody will be able to find you and you will not be able to find any DNA matches. If you want to be found, then you must let your potential cousins see your DNA results and your known family tree. If you give your matches no information, then they can not help you. Some customers of the DNA companies appear to wish to maintain a certain degree of privacy and anonymity. Others find it paradoxical that those trying to identify their anonymous ancestors can be so concerned about anonymising their own identity. GEDmatch.com explicitly allows familial comparisons of DNA recovered from a crime scene to identify a perpetrator of a violent crime against another individual. 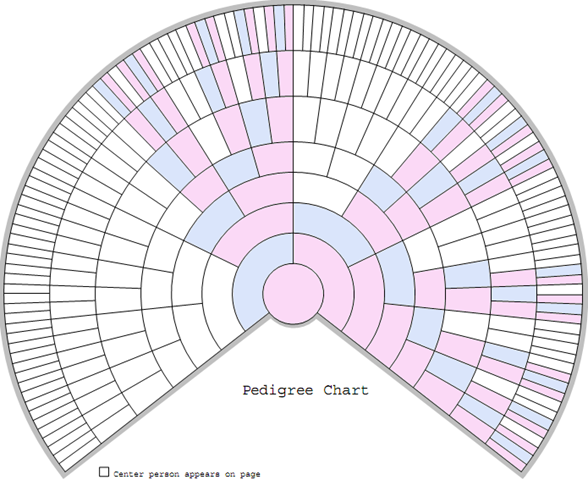 Also take care not to link a male DNA sample to a female's pedigree chart. widow Mary Lynch née O'Dea, no. 9a. Ralph Westropp was immediate lessor or head landlord in Moveen West and no. 26 in Moveen East - bog (turbary), with no tenants listed. `TIDAL WAVE ON THE CLARE COAST. Were the Lynch and O'Dea victims related? In the matter of the estate of Ellen McGrath deceased. Your Petitioner respectfully shows: That Ellen McGrath, whose residence was at Davenport, in the township of City of Davenport in said County of Scott, died at Davenport on or about the 12th day of May, A. D. 1900, that at the time of her death she was an inhabitant of the County of Scott, that the said deceased was born at County Clare, Ireland, on or about the _____ day of _____, A. D. 1820, that she left no will, so far as your petitioner has heard or been able to discover; and the diligent search has been made therefore, that she left no husband or children and her only heirs are her sisters, being Nora Griffin, residing at Dorchester, Iowa; Bridget Foley, residing at Davenport, Iowa; and the following nieces and nephews, to wit: -- Kate O’Dea ______, residing at Danbury, Connecticut; Ellen Costello, residing at Danbury, Connecticut; Mary Ann O’Dea, living in Connecticut; Pat O’Dea, Tom O’Dea, Kate O’Dea and Bridget O’Dea all living in County Clare, Ireland. John O’Dea, living in County Clare, Ireland; Martin McLaughlin, Celia McLaughlin, _________ McLaughlin, and _______McLaughlin, living at Dorchester, Iowa; and this petitioner whose residence is Davenport, Iowa. Your petitioner further shows that all the goods, chattels, and credits of said deceased do not exceed in value the sum of one hundred Dollars, and your petitioner prays that Letters of Administration may be granted by this Court to Michael O’Dea, whose residence is at Davenport and who is a suitable person to administer said trust. On this 14th day of May, 1900 personally appeared Michael O’Dea the above-named petitioner, an being duly sworn, made oath that the matters set forth in the above petition are true. Can DNA comparisons tell us how the four O'Dea families of Moveen West were related? 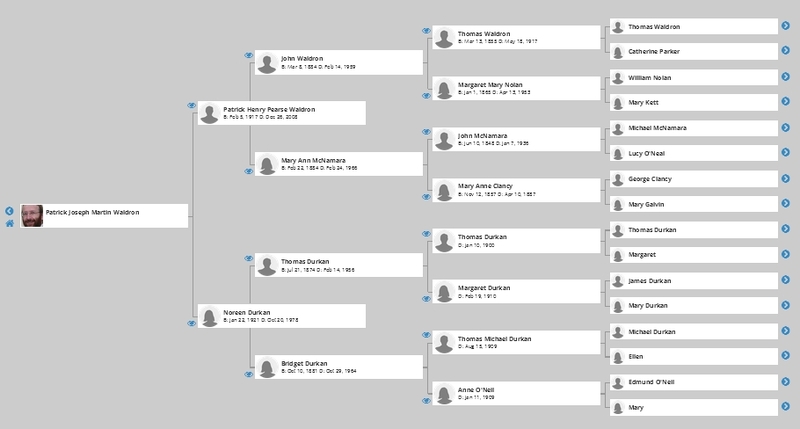 the last row has Moveen ancestry and all her AncestryDNA matches born in Moveen are O'Dea descendants. The DNA evidence confirms that Mrs. O'Connell and Mrs. Lynch were sisters (over 90cM shared between descendants who are no closer than fourth cousins). 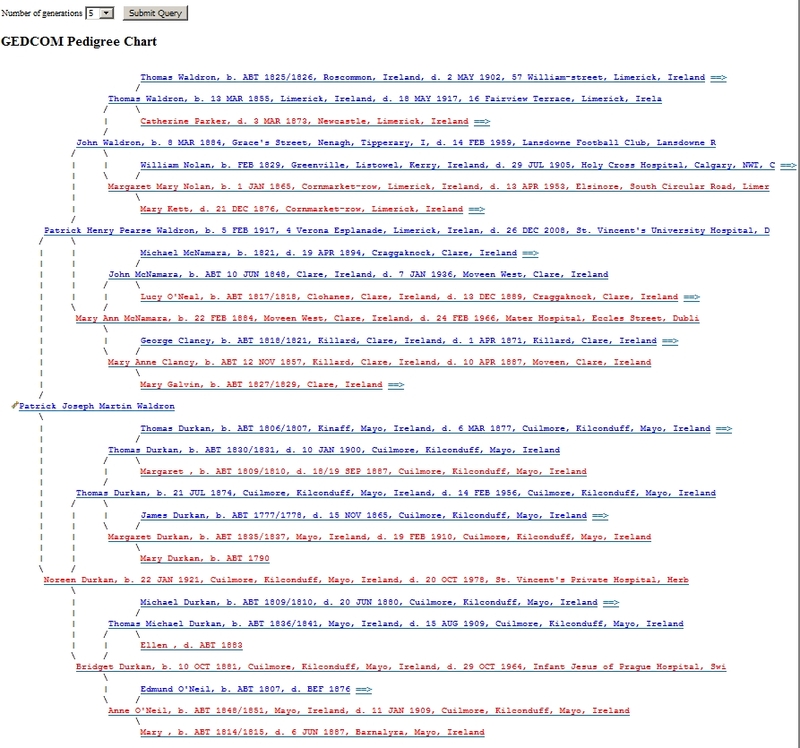 The DNA evidence is strong enough to confirm that the John O'Dea listed as an heir in the intestacy case is John of Moveen. More DNA evidence is required to determine the exact relationship between the progenitor of the O'Deas in house 5 and house 13 and the progenitor of the O'Connells and Lynches in house 6 and house 22.